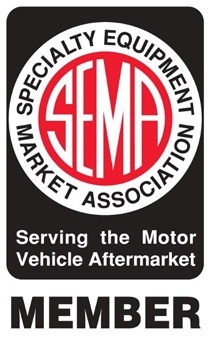 Car Pretty LLC - Cutters & Slitters - Ronan, Border Edge, Scissors, Molding and Tint Cutters. 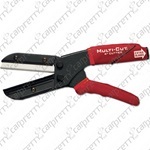 Cutters & Slitters - Ronan, Border Edge, Scissors, Molding and Tint Cutters. You need a nice sharp edge for your molding cuts. 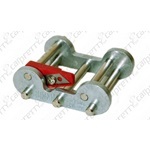 Molding cutter is available here in 2 different sizes. Ronan 2" slitter is good for cutting vinyl roll goods 2 inches and under. 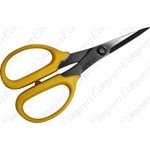 Tint cutting scissors and paint protection film cutting scissors are needed tools in this business. 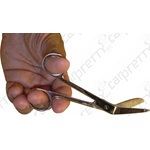 We offer stainless steel scissors for cutting ppf. 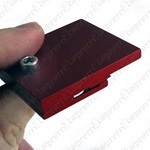 Box mounted cutter is helpful for slitting film out of the box. Save time and money with these Ronan 2" or 16" slitters! 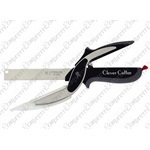 They have adjustable blades, and slit vinyl cleanly to any desired width. 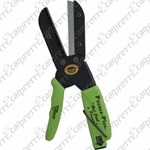 Originally sold as an all purpose cutting tool which cuts everything from the thickest branches, to plastics, tubing, hose, auto trim, thick rope, thick leather, rubber, vinyl tile, etc. The patented Multi-Cut was originally designed for industrial use to cut tough vinyl trim with precision for the auto industry. Because of its unique ability to cut everything associated with the home, shop, industry, hobby, crafts, etc., we are pleased to offer this all purpose cutting tool for general use. This is an outstanding tool for both the contractor and "do it yourselfer" who needs to cut the "tough stuff". The "Original" patented 2 in 1 Clever Cutter was designed to make food preparation easier, quicker, and safer, with less mess, by eliminating bulky cutting boards. This unique tool combines a stainless steel kitchen knife with a mini-cutting board. If needed, the Clever Cutter separates to become an all purpose kitchen knife which can be used to cut, slice or dice. The Box Mounted Film Slitter makes any film box an economic and easy film cutting mechanism. 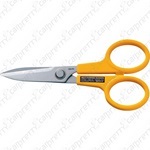 The Olfa 5" stainless steel scissors has serrated blades that keep material in place. Excellent for cutting multiple layers. The Olfa 7" stainless steel scissors has serrated blades that keep material in place. Excellent for cutting multiple layers. 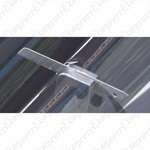 Must have when needing to cut paint protection film with precision and smoothness. These 5" Precision Scissors are made of a high quality stainless steel blades meet perfectly for precision cutting.